No fewer than 30 people lost their lives in the Offa bank robbery. 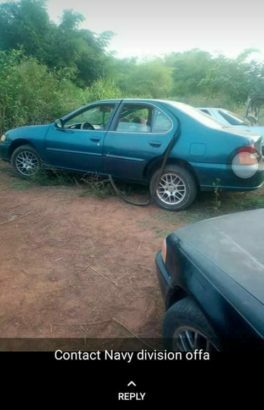 An attack that happened last Thursday in Kwara state and saw deadly armed robbers storm Offa town, raid 5 commercial banks and slaughter whoever stood in their way. 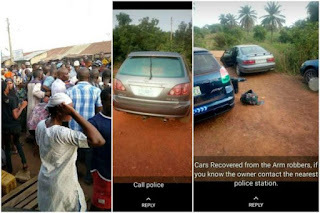 Eyewitnesses said the men, who numbered close to 30, blew up entrances into the banks, carried out an attack which lasted for hours and made away with several millions of naira from the banks, leaving behind a tale of sorrow, tears and blood. It was gathered that the gunmen arrived Offa town in seven vehicles and stationed themselves in each of the banks around 4:30 pm. They held the town hostage before escaping through Igosun route. 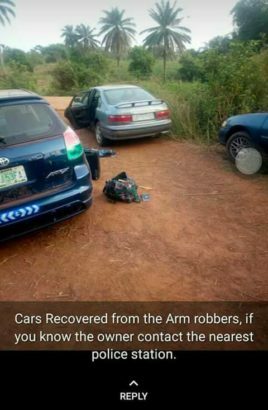 The Offa bank robbers, in their bid to escape from Kwara also killed two mobile policemen in Okuku, Osun State, where they also reportedly abandoned three of their operational vehicles as seen in the pictures. 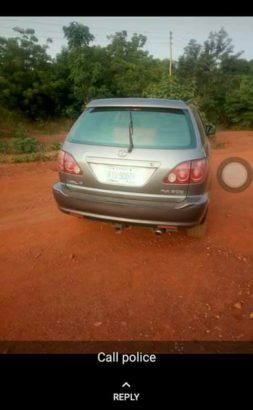 The vehicles have been recovered and taken to the police station in the area.